Kenneth Rogoff: Are Emerging Markets the Canary in the Financial Coal Mine? Rising interest rates could test stability in some advanced economies as well, especially in Italy, where voters, particularly in the less developed south, have opted decisively for a disruptive populist government. With an economy ten times the size of Greece, a default in Italy would blow up the eurozone. Indeed, the populist coalition government that has now taken power has hinted that it wants write-offs for some of its under-the-table debts (not included in Italy’s official public debt of over 130% of GDP) to the euro system through the European Central Bank. The International Monetary Fund, moreover, has sufficient resources to handle a first wave of crises, even if it includes, say, Brazil. 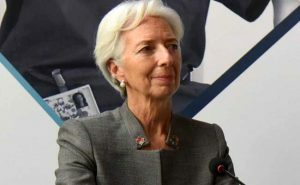 The main concern is not that the IMF will fail to deliver funds, but that it will make the same mistake it did in Greece, by not imposing a realistic deal on debtors and creditors. As for Italy, chances are that Europe will find a way to grant temporarily some of the extra budget slack the new government seeks, even if there is no way eurozone officials can allow high-debt Italy simply to destroy the common currency. The most important reason for optimism, notwithstanding all the surrounding political noise, is that global long-term real interest rates are still extremely low. Even with all the drama surrounding Fed tightening, 30-year inflation-indexed Treasury bills are paying around 1% – far below long-term real returns, which have averaged closer to 3%. As long as the underlying global interest-rate picture is so benign, it is hard to see the big Kahuna of bond-default waves coming just yet. It is notable how much the IMF, the world’s debt and financial crisis watchdog, has been ratcheting up its warnings. After years of saying advanced countries no longer need to worry about their near-record public-debt levels – now averaging over 100% for general government debt – the IMF has started to warn that many countries may find themselves squeezed for fiscal space if faced with a new recession anytime soon. The challenges stem not only from debt that is on the books, but also from hidden liabilities, owing most notably to massively underfunded old-age pension and health-care programmes – implicit debts that in many cases are far larger than the official figures. The overwhelming evidence of recent research supports the IMF view. Countries with historically high debt levels have (on average) significantly poorer growth performance in the face of major shocks, and the long-term relation between high public debt and growth is distinctly negative. This, of course, says absolutely nothing about the economic consequences of actively reducing the burden of government debt, popularly known as “austerity.” Deep recessions are the time to use a country’s war chest, not the time to build it up. Admittedly, there are those on both the left and the right who think “this time is different” for advanced economies. With no realistic danger (in their view) of a major war or financial crisis anytime soon, it is folly to exercise too much restraint on public debt or pension promises. This is dangerous thinking even for the United States, despite the greater fiscal scope it enjoys as the issuer of the global reserve currency. Very bad shocks can happen to any economy, and their sources might not be the ones we normally consider. For example, risks stemming from cyberattacks (especially by state actors), pandemics, and certainly financial crises are probably far higher than anyone would like to admit. It is certainly not difficult to imagine a temporary slowdown in fast-growing China that could roil world markets. And if the completely unexpected does happen, one thing we can anticipate is that governments with strong access to global credit markets will have much better options for responding. Even if the best bet is that any emerging-market bond meltdown would remain contained, today’s jitters ought to be a wake-up call, even for advanced economies. After all, no country, however rich, should bet its future on the prospect that today’s ultra-benign interest-rate environment will last forever. Economists who assure us that advanced-economy debt is completely “safe” sound eerily like those who touted the “Great Moderation” – the supposedly permanent reduction in cyclical volatility – a generation ago. In many cases, they are the same people. But, as we saw a decade ago, and will inevitably see again, we are not at the “End of History” when it comes to global debt and financial crises. Kenneth Rogoff, professor of Economics and Public Policy at Harvard University and recipient of the 2011 Deutsche Bank Prize in Financial Economics, was the chief economist of the International Monetary Fund from 2001 to 2003. He co-authored This Time is Different: Eight Centuries of Financial Folly. His new book, The Curse of Cash, was released in August 2016.